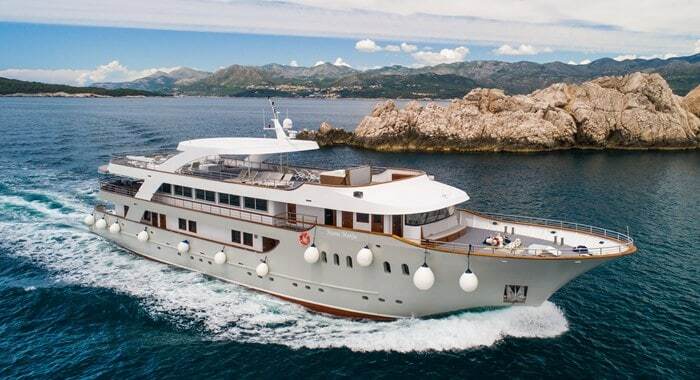 Luxury one-way cruise from Dubrovnik to Split with overnight stops in Slano, Mljet, Korcula, Hvar, Vis, Brac, Trogir and Split. Including half board with the captain's evening meal, guided tours and private transfers. The price includes return flights from airports across the UK. 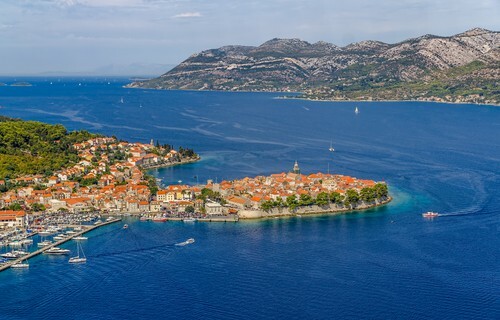 This luxury island-hopping cruise offers overnight stops in the strikingly beautiful towns of Dubrovnik and Split and breathtaking Hvar, Korcula, Brac, Vis, Mljet National Park, Slano and Trogir. Enjoy delicious half board meals, the captain’s evening dinner and several guided tours. You can board whenever you like and enter your cabin at 1300hrs. 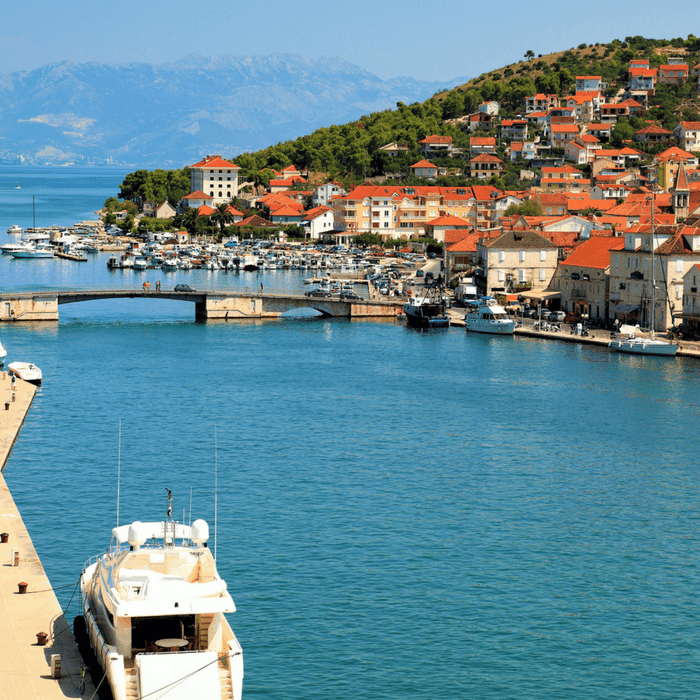 If you arrive in the morning, we suggest that you drop off your luggage and head out to get your first glimpses of the stunning Pearl of the Adriatic – perhaps starting with a stroll around the harbour admiring the yachts, before finishing up with a light walk around the top of the medieval city walls. In the evening we’ll host a welcome meeting followed by a dinner at 1930hrs, which will be a great opportunity for you to meet with the captain, crew and your fellow passengers. 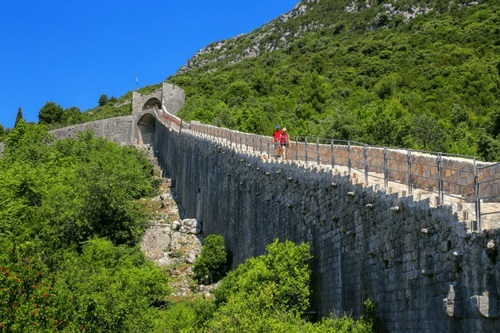 Join our tour of Dubrovnik and admire the breathtaking scenery from the hills. From here you can get a real feel for the town, taking in the iconic terracotta-red rooftops and the stunning blue tones of the Adriatic. 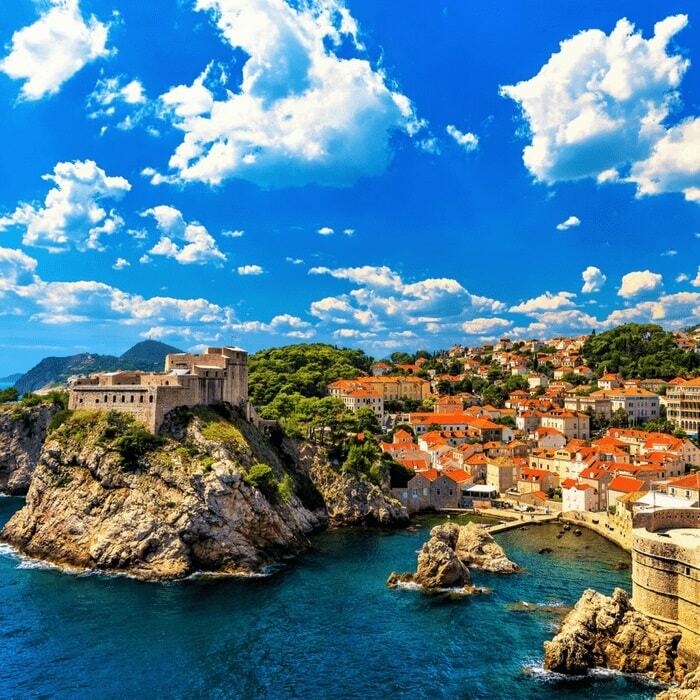 Then join a guided walking tour of the UNESCO-listed old town of Dubrovnik. Admire the baroque church of St. Blaise, the renaissance Sponza Palace and the gothic Rector’s Palace, whose arched entrance is reminiscent of the architecture of Venice. Then we set sail towards Šipan Island and dock in the idyllic fishing village of Šipanska Luka (weather pending) or we’ll head to the picturesque dock of Slano. 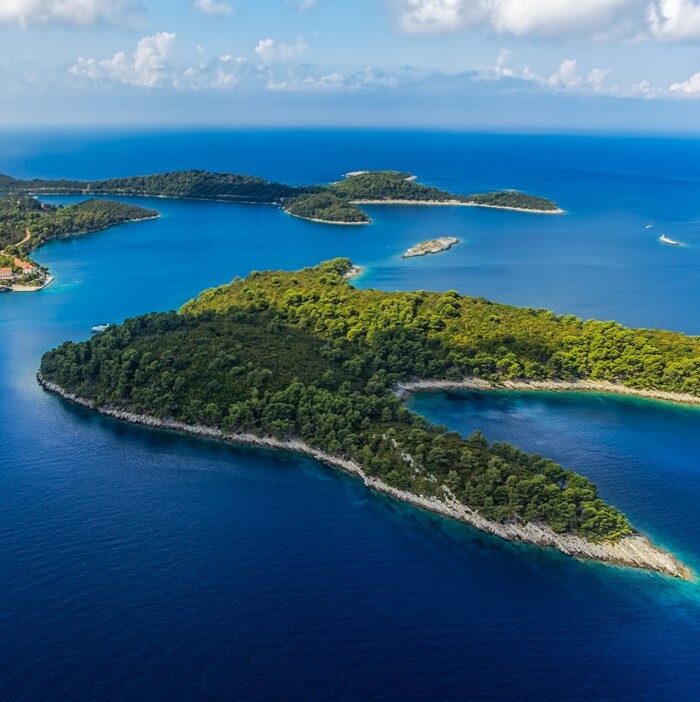 Visit the island of Mljet for a tour of the stunning Mljet National Park where we’ll visit the Islet of St. Mary, home to a 12th century monastery. Take a refreshing swim before we explore a little more of the park’s flora or even rent a kayak for a pre-lunch row. 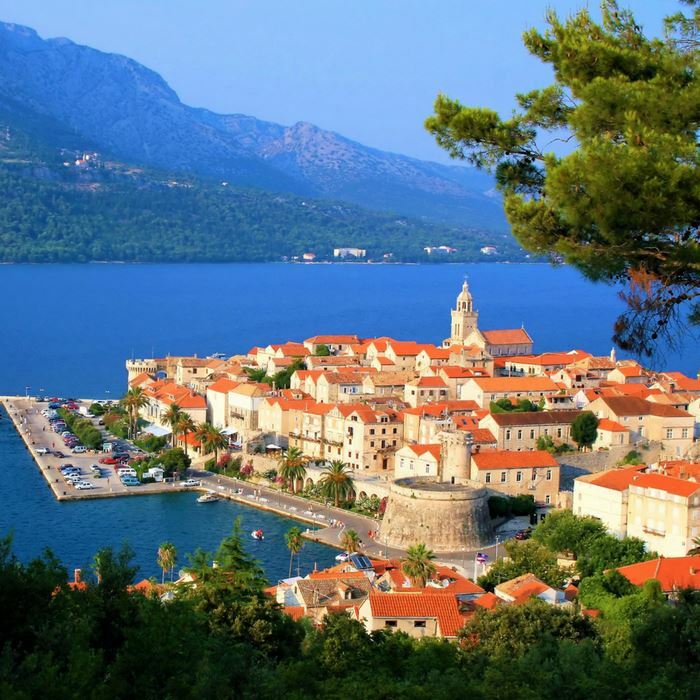 We then sail to Korčula Town where your inspiring guide will lead you through the old town’s charming labyrinthine streets. We also suggest taking a walk along the beaches before returning to the old town for dinner to sample a tasty local white wine made from the pošip grape, which is a favourite of the region. Sail towards intoxicating shores of Vis Island. The island has mostly withstood modern development due to its time spent as a military zone and so offers lush island interiors, rustic beaches and charming well-preserved fishing villages. Whilst on Vis we suggest a swim in the dreamy Stiniva bay. Spend the afternoon in charming Vis Town: walk along the seafront promenade and explore the town’s intriguing history via its collection of architecture, which includes the remains of a Greek cemetery, Roman baths, an English fortress and a selection of attractive houses and churches that span the Venetian and Austrian eras. 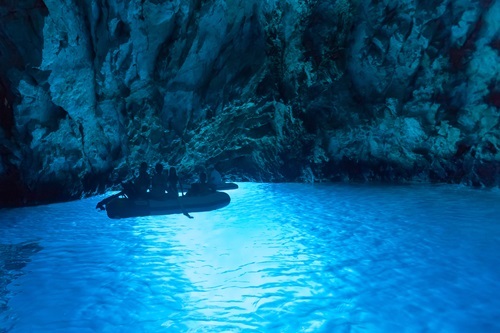 We cruise to Bisevo to admire the magical Blue Cave (weather permitting) that can only be entered by boat and is a large chasm that has a natural opening that casts the cave in an ethereal blue light. Alternatively, we visit the WWII RAF Airport and the pretty fishing village of Komiža on Vis. 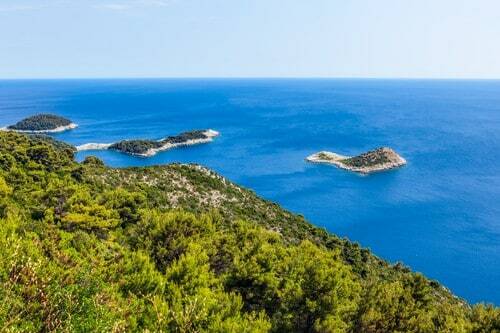 We continue cruising through the glittering seas of the Adriatic towards the super-chic island of Hvar. We’ll embark on a guided walking tour of the charming town’s historic attractions. 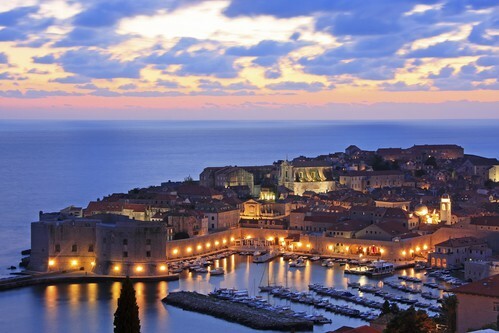 After dusk we recommend that you sample the fantastic restaurants and bars along the chic harbour and the atmospheric old town. 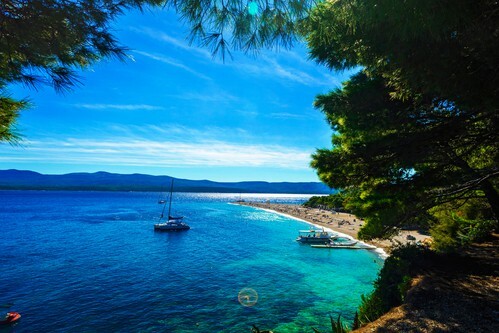 We sail towards Brač and the town of Bol where we’ll visit the famous Zlatni Rat beach, the iconic stretch of sand that reaches into the azure waters of the Adriatic. After a morning swim, and a stroll through the historic old town, we sail onwards to Trogir. You’ll embark on a guided walking tour of Trogir’s UNESCO-listed old town, taking you through the main attractions such the ancient churches, monasteries and towers, as well as the stunning Cathedral of St Lawrence, with architecture spanning various eras – from Romanesque to Gothic. In the evening, the ship will host the captain’s dinner with superb live entertainment and music, as well as a delicious multi-course dinner. 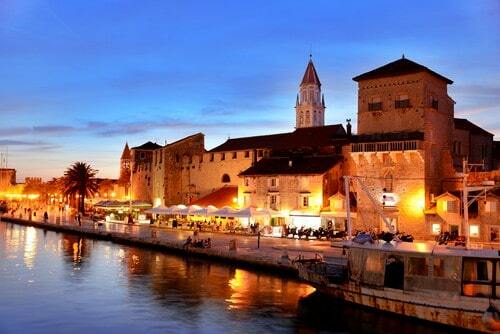 We cruise on towards the ever-enchanting city of Split on the Dalmatian coastline. You’ll join the guided tour through the cobbled streets, palatial piazzas and breath-taking architecture of the enormous, UNESCO-listed Diocletian’s Palace – where you’ll see almost two thousand years of history and culture told through the medium of architecture. Then explore this lovely historical town at your own pace. 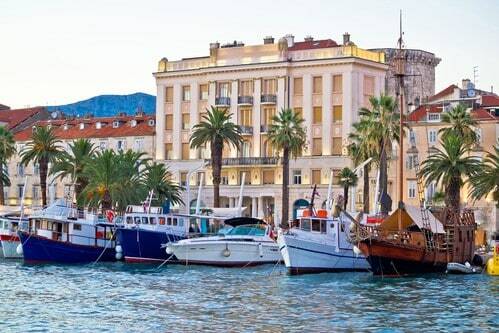 There’s a multitude of beaches to explore, a chic marble-lined seafront promenade filled with bars and restaurants, and dazzling views from atop the bell tower of the Sveti Duje Cathedral in the old town. Bid farewell to the crew, captain and your fellow guests as you are transferred to Split Airport or your onward accommodation in Split after a very memorable island-hopping experience.